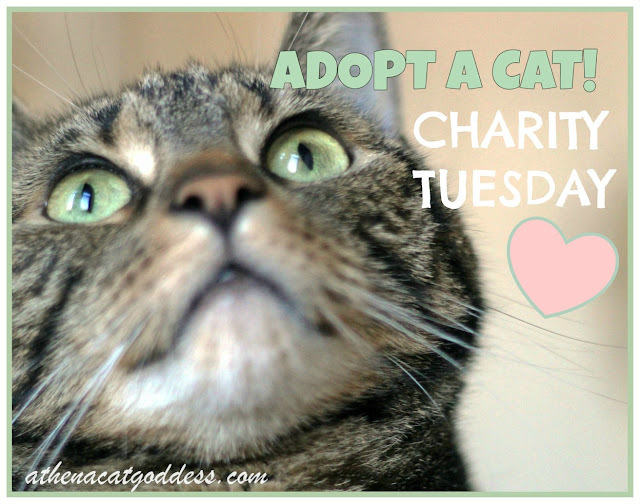 We are featuring some rescue cats from Wood Green, the Animals Charity and also a sweet little kitten from a rescue charity based in Cyprus today. First, this is Amber from the UK who is part of a beautiful pair called Amber and Jade. 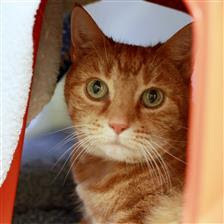 Amber is very chatty and loves all the fuss and attention. Jade takes a little bit longer to come out of her shell but does enjoy being fussed over a little bit at a time. These two ladies would love a quiet home together with each other’s company and a loving family. Do you have enough room in your home for these lovely girls? They don't need much, just a comfy sofa and a nice garden to investigate. If you think they are the girls for you, click on this link to take you to their Wood Green profile. This little guy is Arnie. He was born Apr/May 2017 in Cyprus and is already vaccinated and neutered. He is part of an original litter of five found at Tekke in mid-May. When found these little ones had terrible eye infections and sadly, the fifth kitten died soon after they were collected. Arnie has no vision (or extremely limited) vision in his left eye, but his right eye is fine. 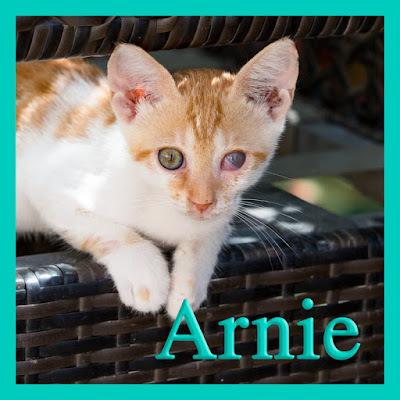 Arnie loves to hang out with his other kitten friends and is an affectionate little boy. He can be adopted and brought over to the UK. Click HERE for more details. What awesome kitties you featured today! They are both lovely kitties and I hope they soon get homes. We think it is awesome that you're helping share about Amber and Arnie. We will share them, too!